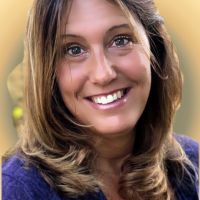 Susan is a Certifed Health Coach, Master Gardener and sustainability expert who has authored over twenty top selling books on healthy living, clean eating, gardening and natural wellness. She has taught thousands of people how to shop, cook and eat healthily and live well. When she is not coaching others, writing or speaking, Susan can be found hiking, kayaking and enjoying time in her garden. 10 Signs That Your Body Needs a Cleanse Now! How One Food Can Help You Battle The Bulge! Juice is Not a Health Food! 5 Tricks to Lose Weight and Change Your Life, Easily! Hey Buddy!, I found this information for you: "An Easy 2 Minute Practice to Relieve Stress". Here is the website link: https://www.thealternativedaily.com/an-easy-2-minute-practice-to-relieve-stress/. Thank you.